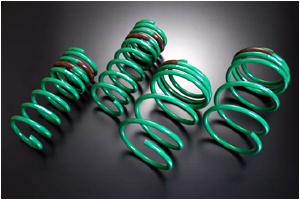 i have a set of TEIN S-Tech springs for an 03-07 Coupe or 03-06 Sedan. lowers the ride height just over 1" on coupe and almost 2" on Sedans. served me well the past 2 months, i just switched to coil overs. looking to sell this set asap. local pick up in the gta..
im over by pearson airport.